It was early morning, the sea haar was rolling in. Three giant propellers, attached to a rotor cone, were lying on the ground. Guys with giant hammers were banging beats like massive synchronised timpani to release the cone’s support frame. Cranes, their tops disappearing in the shrouded mist, were poised. Men were scurrying around checking coordinates and equipment; supervisors and site managers from the companies involved were conversing with their walkie-talkies in German, Danish and English. 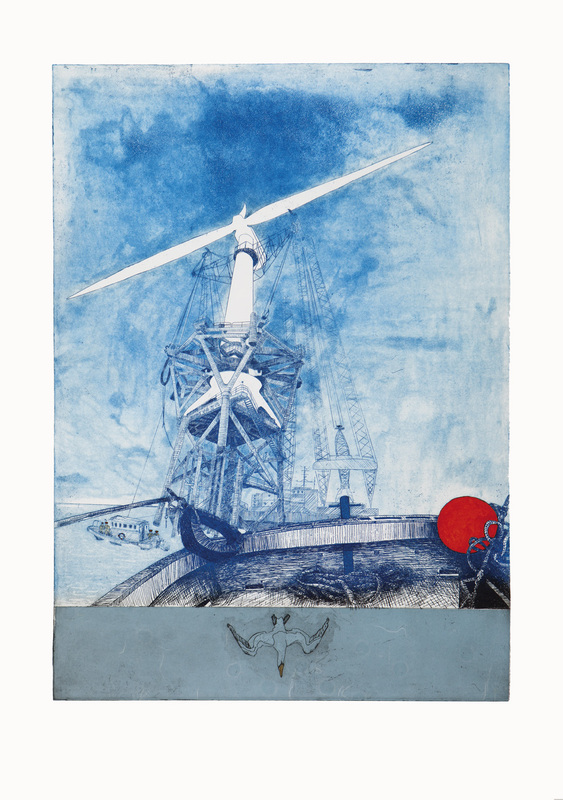 This was Nigg, Ross-shire in May 2006, and watching in awe from a safe distance on site, I drew quickly to capture yet another milestone as the world’s first five-megawatt offshore turbines slowly took shape. It was one of many inspiring moments over the course of a four-year period where I was asked to document the groundbreaking windfarm demonstration project which was sited at the Beatrice Oil Field off the east coast of Caithness. Whilst working on this project I was lucky to be given full access to the people and places making the world’s first deep-water windfarm a reality. It was emotional, exhausting, all-encompassing and uplifting. And of course, it was a project that immediately appealed. 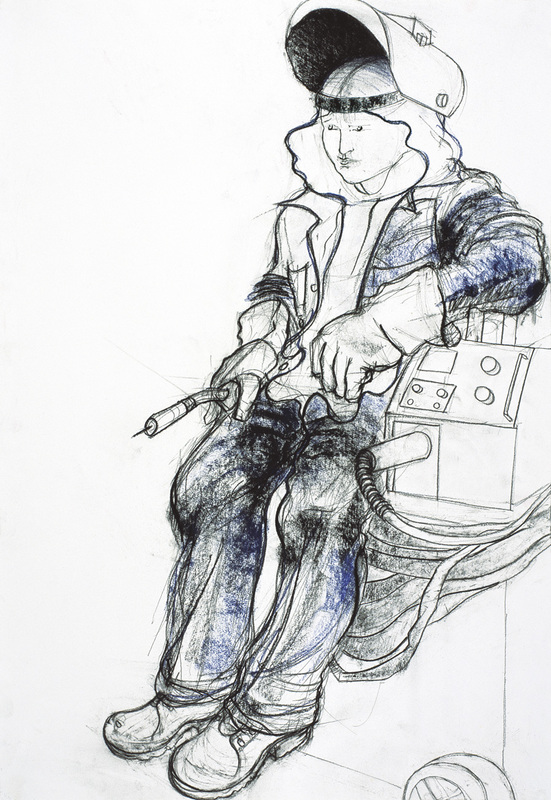 For over 25 years I have created paintings, etchings, drawings and diaries that have recorded the busy activity of frontline workers in the energy industry; and their remote, often unseen, often untold world is one in which I’m now very comfortable. Artists make us look at things differently and I believe that the cultural community has an important part to play in the conversations that must be had about issues of topical, social and economic importance. Yet such access to such sites remains a rare privilege and one that must not be taken lightly. I enjoy the fact that my work can provide the wider world with a unique insight not just into the beauty of cutting-edge technology, but into the extremity of the working environments, and the culture, passion and ritual of the people. 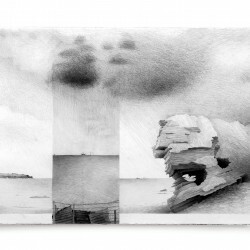 To me, such work must be about documenting nature and humanity as well as engineering achievement and I try to capture the spirit and feeling of the project and people along with its environmental implications, to make people look at things differently, and think differently about the questions they might ask. As with all my work, the Beatrice Works exhibition helps us see pioneering technology side by side with individual workers and the lives that they lead, so as much as the exhibition explores the beauty of the turbines and the changing land and seascapes around them, it is about the many working people who make these incredible feats of engineering possible. I hope Beatrice Works will provide a valuable insight into the people and technologies that have produced the North Sea’s first deep water renewable energy and give people new ways of thinking about the proposed Moray Firth wind farms. 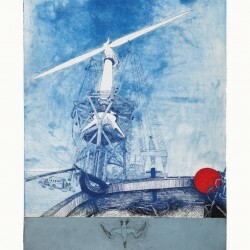 The Beatrice Works exhibition, combining paintings, etchings, drawings and diaries to document the development of the Beatrice Windfarm Demonstration Project off the east coast of Caithness, was featured at Tankerness House in Kirkwall in the 2013 Orkney International Science Festival. 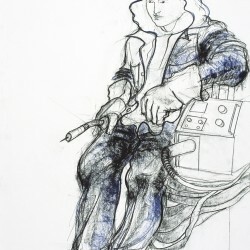 Sutherland-based artist Sue Jane Taylor has worked for over twenty years recording the lives of workers in the North Sea oil industry on sites such as Piper Alpha, the Pipe B platform, and the Flotta terminal, and in recent years in the offshore renewables industry as well. 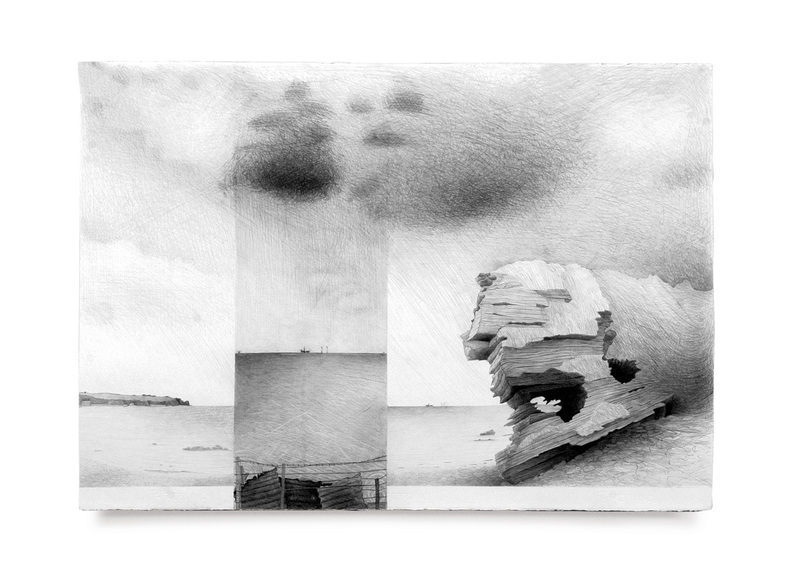 A graduate of Gray’s School of Art in Aberdeen, the Slade School of Fine Art in London and Konsthogskolan in Stockholm, her work has been widely exhibited in venues from Scotland to Australia, and she is a recipient of the Glenfiddich Living Scotland Award. Her bronze memorial to the men of Piper Alpha was unveiled by the Queen Mother in 1991.